COLOURS: If you need a bespoke RAL colour you have to state this in the comments field when ordering & we will contact you for details. There will be a 10% supplementary charge and delivery times might vary. What is the purpose of a Heavy Duty Chair Carrier? The Heavy Duty Chair Carrier is a versatile transport apparatus capable of carting a pile of stacking chairs or other kinds of loads from one place to another. Several chairs may be loaded one on top of the other over the lifting arm of this useful sack truck unit. The height of the lifting arm can be adjusted to suit the number of chairs for transport by a simple loosening or tightening of the strap. Likewise, the lifting arm can be repositioned to allow loading of boxes, sacks or other heavy weight packages. It is a heavy duty piece of equipment that is easy to roll with its pneumatic tyres. Where can a Heavy Duty Chair Carrier be used? The Heavy Duty Chair Carrier can be used in various areas where a huge number of people gather for conferences, parties and sports activities. These places can be parks, restaurants, coffee shops, conference halls, community centres, sports arena, schools and other multi-purpose venues. Churches and other places of worship can benefit from this design of heavy duty sack truck as well. Groceries, malls and other commercial areas can use the Heavy Duty Chair Carrier in a number of ways, other than just a tool to carry chairs but also as a means to transport various kinds of loads. Banquet, conference and other event organisers can use the product when outfitting venues with chairs and other paraphernalia. 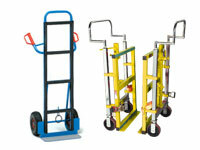 Restaurant owners as well as coffee shop operators can utilise the chair carrier during maintenance operations. Cleaning services personnel, grocery workers and mall retainers can take advantage of the product’s versatile loading capabilities as well. The Heavy Duty Chair Carrier is essential equipment for moving companies.This hand truck is beneficial to sports and concert coordinators. The sack barrow is likewise useful to school organisations engaged in various activities. Heavy Duty Chair Carrier product specifications- warranties, materials, legislation, etc. 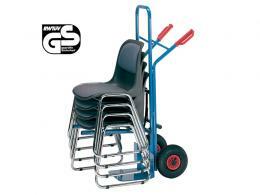 The Heavy Duty Chair Carrier is robustly made from tubular steel and has a total capacity of 300kg. 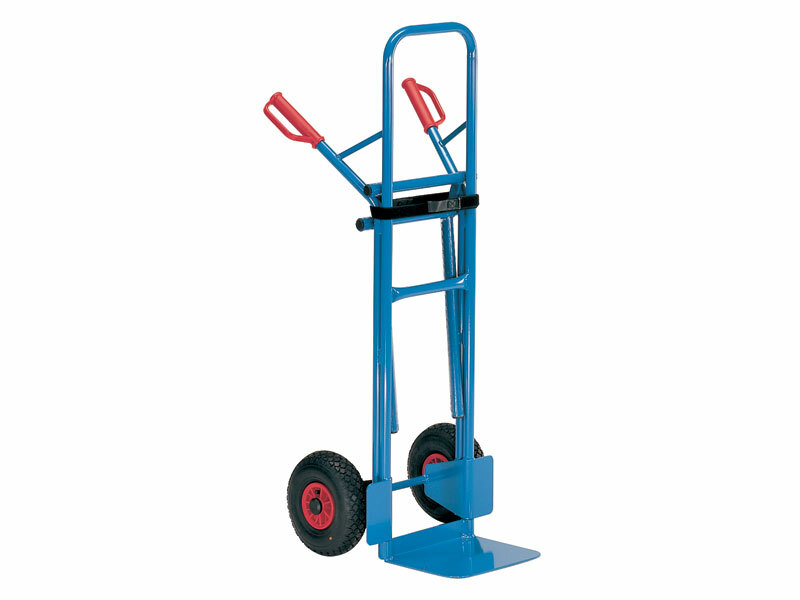 The dimensions of this sack cart are 1300mm (H) x 580mm (W). 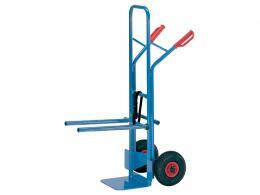 It is equipped with a lifting arm that is 500L x 250Wmm with a 70kg capacity. The Workplace Depot offers a standard one year warranty on all parts and labour. Our chair carrier fully complies with all local council and government regulative manufacturing requirements to ensure the safety of your customers and staff. The lifting arm is variable to suit the chair load with a simple adjustment of the holder strap. The lifting arm can also be folded down to allow use for other purposes. The carrier is easy to control as it is fitted with 260 x 85mm all terrain pneumatic tyred wheels with roller bearings. These pneumatic tyres maximise the carrier’s load capacity, absorb shock and are more resistant to wear and tear than solid rubber tyres. The tubular steel is powder coated giving the surface a tough and even finishing. The Heavy Duty Chair Carrier is the transporting product of choice for many commercial operations. It is a worthy investment as it reduces man-hours and operating costs. It is dependable equipment that was built with durable materials under approved safety standards.